V7 III is available in the three well-known and popular versions, Stone, Special and Racer that, compared with the past, now take on stronger connotations and differ more from one another. Consistent with the other Moto Guzzi models in the range, the V7 III also has a dark version that stands out for its total black graphics. It is the Stone and a more classic one dominated by chroming, more in line with the design of the forerunner, which is the Special. The Racer, on the other hand, represents the successful sports heritage of Moto Guzzi, a winner of 15 world titles and 11 Tourist Trophies when the decision was made to retire from racing (in 1957). 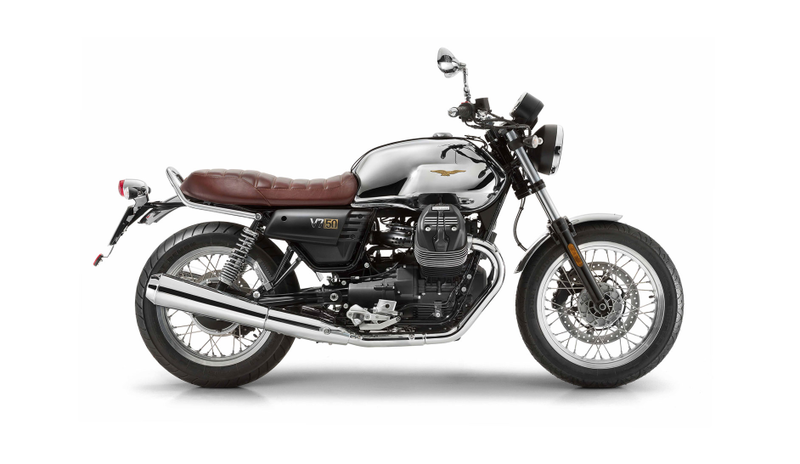 The V7 range has now been expanded: Moto Guzzi pays homage to fifty years of the V7 model by introducing a fourth version, called the Anniversario, a numbered edition limited to just 1000 units, characterized by brand new and exclusive details. The “seven-fifty” from Mandello has proven to be an excellent base foundation for customization projects. In fact, it was protagonist of Lord of the Bikes, the first TV talent show dedicated to motorcycle customizing, broadcast in Italy on Sky, that took Moto Guzzi onto the small screen. 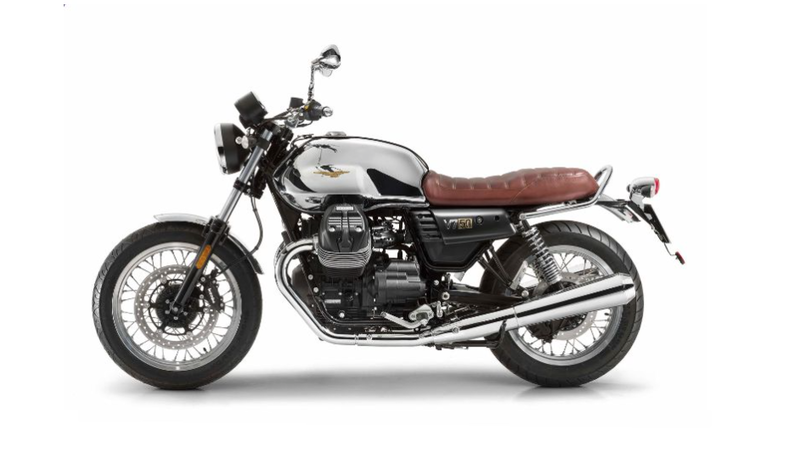 The original Moto Guzzi accessories range, already quite rich for the V7 II, was created as a supplementary part of the project and it has been expanded even farther. The V7 III therefore lends itself exceptionally well to customization, so you can create your own made to measure special, like a tailor fitted garment.